Our product range includes a wide range of drying oven, stainless steel industrial dryers, gmp drum / tote heating dho 12, gmp industrial dryers, oven plc control and dryer/ oven plc control panel. With the support of our adroit professionals, we provide our clients a high quality Drying Oven. Ideal for Powders & Granulates, offered oven is made using superior quality components and modern technology in compliance with industry norms. Due to its various quality measures, this oven is widely praised by the clients. Our quality experts test this oven on varied quality measures. We are remarkable entity, engaged in offering high quality Stainless Steel Industrial Dryers. Used for Process Heating & Solids Drying , our offered industrial dryers are manufactured by our proficient professionals from premium quality components and the latest technology in line with industry norms. In order to ensure that zero-defect product is delivered at users’ end, these industrial dryers are strictly tested on varied quality measures. 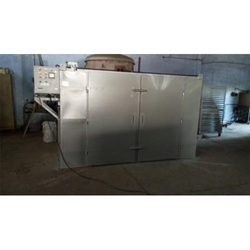 We feel proud to introduce ourselves as the leading manufacturer, exporter and supplier of GMP Drum/Tote Heating Ovens/Hot Boxes that are available with direct or indirect system, steam heating or electrical heaters as per application. Our offered dryers are manufactured using optimum quality components and sophisticated technology under the guidance of proficient professionals. Apart from this, provided dryers are praised in the market for their high efficiency and optimum performance. We are also offering our clients the top quality GMP Industrial Dryers. These GMP Industrial Dryers are used for the industrial purposes of drying and removing the moisture and water contents in the material. 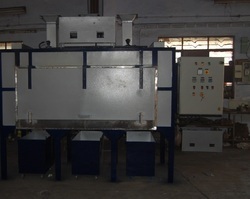 These GMP Industrial Dryers are of very much use and importance in a wide range of industries. 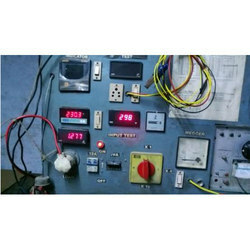 Our company has carved a niche in the market by offering an extensive gamut of Dryer/ Oven PLC Control Panel in different specifications as per our client’s requirements. 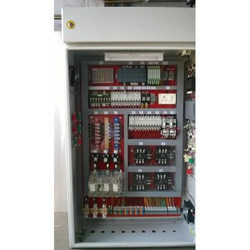 These panels are engineered with optimum grade basic materials procured from industry’s completely reliable vendors. The entire assortment is well known in the market for its durability, efficient working capacity and smooth performance. The Portable Roller Oven is an effective aid in determining the effects of temperature on drilling fluid as it circulates through the well bore. Aging the drilling fluid in pres-surized containers effectively demonstrates the thermal effects on viscosity and how various additives behave at elevated tem-peratures. Specifically designed for the corporate. Basically we are looking for corporate inquiries. 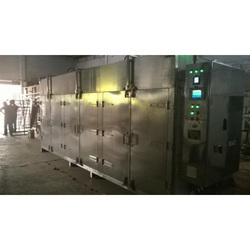 To satisfy our customers, we are engaged in offering wide range of Steam Radiation Oven. 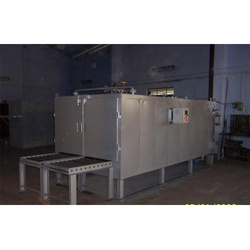 This Steam Radiation Oven is known for its smooth functioning and excellent performance. Also, this Steam Radiation Oven is extensively used for bake the things properly and effectively. We are a preeminent manufacturer and supplier of a broad spectrum of superior quality Test Apparatus Electric Heating Oven.Offered heating oven is designed by our experienced professionals using ultra modern technology. To meet numerous needs of clients, this heating oven is made available in various technical specifications. 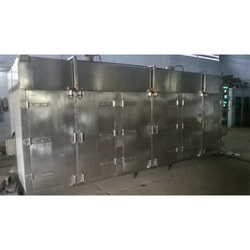 This oven is perfect for heating of resins, surfactants, chemicals, oils, fats and others. 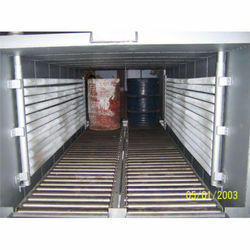 We offer these flame proof heaters to our honored clients according to the set quality standards. These flame proof heaters are available in various specifications according to their needs. We examine these flame proof heaters in several provisions of quality for supplying defect free range. Along with that, customers can take the offered flame proof heaters from us at the nominal price range. Bitumen Heating Oven is used for determining the loss in mass, of oil and asphaltic / bituminous compounds when heated with the loss on heating test method or the effect of heat and air on semisolid asphaltic / bituminous materials . 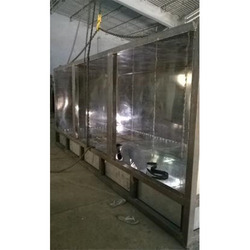 The internal chamber of the Thin Film Bitumen Oven is made of stainless steel and the door has a panel window.Rotating shelf and sample cups should be ordered separately according to the test type. 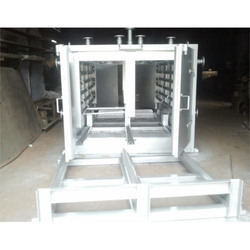 We manufacture our superior range of Industrial Oven, which are specially designed and fabricated for industrial purpose to suit various. These are used for various applications such as in drying, baking, curing, preheating and other purposes. These ovens are well-known for performance and durability. Widely demanded our offered products are sturdy in nature with abrasion resistance qualities. 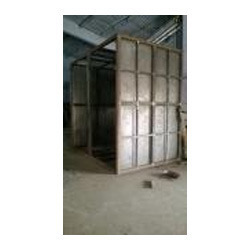 Amidst our wide range of industrial machines, we are also engaged in offering a wide range of Tunnel Industrial Oven. The offered industrial oven is manufactured using supreme quality components and modern technology in line with industry norms. Apart from this, we offer this industrial oven in varied specifications and designs so as to meet the needs of our clients. Our provided industrial oven is highly praised for its ruggedness and light weight in the market.